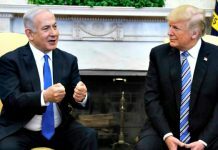 U.S. National Security Advisor John Bolton blasted the 2015 Iran nuclear deal, which he called “wretched,” as he met with Israeli Prime Minister Benjamin Netanyahu in Jerusalem to discuss combating the Islamic Republic’s nuclear program, as well as its threatening presence in Syria and the rest of the Middle East. Additionally, the Israeli premier expressed solidarity with the ongoing protests in Iran against its leadership. 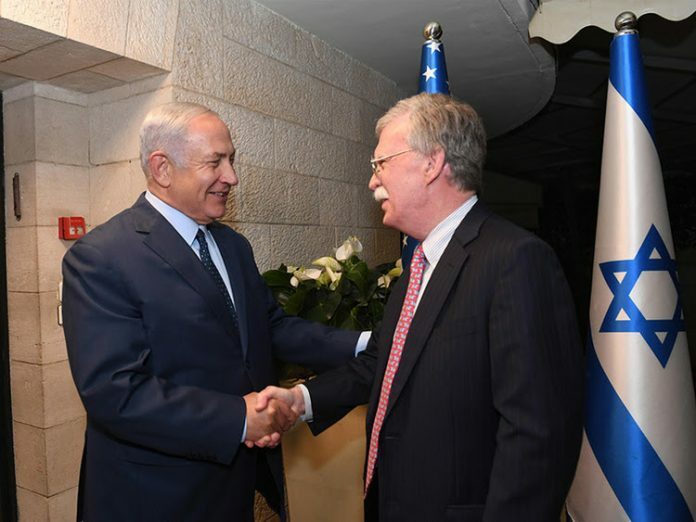 This visit to Israel was the first for Bolton, whom Netanyahu called a “tremendous friend” of Israel, as national security advisor for the Trump administration.